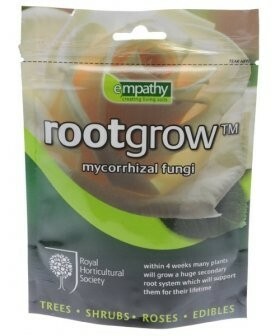 Rootgrow is the best value plant treatment you will ever buy. With just one application at planting time, your plants will develop a huge secondary root system supplying nutrients and water for their entire lifetime. Rootgrow is made up of Mycorrhizal fungi, a remarkable group of organisms that have been benefiting plants for at least 500 million years. Simply sprinkle half the sachet of Rootgrow into the planting hole for each of your new Salix trees at planting time and watch them thrive!